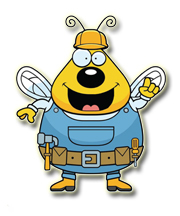 All of the crew here at Bizzy B Plumbing have been in some form of the home improvement or plumbing in Knoxville trade for over 10 years. We take pride in our work, and we guarantee any project we take on will be of the highest-quality available in Knoxville and the surrounding areas. Be sure to check out our gallery to see some of the projects we have completed. You can also find us on Facebook and see more pictures of the various projects we have recently finished. We are always posting more, so check back often. We would also love to quote any upcoming projects or issues you may be having when it comes to Knoxville home improvement or plumbing. So, feel free to contact us today and let us help you get a jump start on your future! This entry was posted in Knoxville Home Improvement, Knoxville Plumbers and tagged knoxville plumbers. Bookmark the permalink.